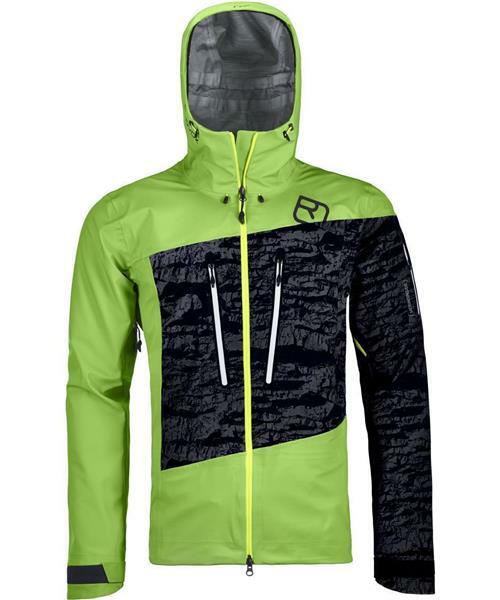 Thanks to the unique interplay of the High Performance Toray Dermizax®EV membrane with a lining of pure merino wool, this 3L jacket remains the benchmark in hardshell comfort! The inside of the jacket, which is made completely of merino wool, provides unique wear comfort, whilst the hardshell exterior, with its highly functional Toray Dermizax®EV membrane, and with a water column of at least 20,000mm, protects you from the wet and cold, and is also absolutely windproof. The 100% merino wool backing ensures excellent temperature management: The wool in the Merino Guardian Shell allows moisture to pass through rapidly, which prevents the build-up of an inner layer of moisture and makes the 3L hardshell feel dry on the inside. Features like the 2-way adjustable storm hood (helmet compatible) with horizontal and vertical adjustment options and the adjustable seam provide the perfect fit and offer additional protection in stormy conditions. The two large front pockets, the inside pocket and the ski pass pocket provide more than enough room for the large and small items you need for ski touring and freeriding.